After ye olde/ votre ancienne Norman Invasion, the Old English merscmealwe became the Frenchified marshmalue, morphed into still French-ish marche mallow, and then kicked first its French “e” and then its space to the curb, becoming marshmallow by the 19th century. 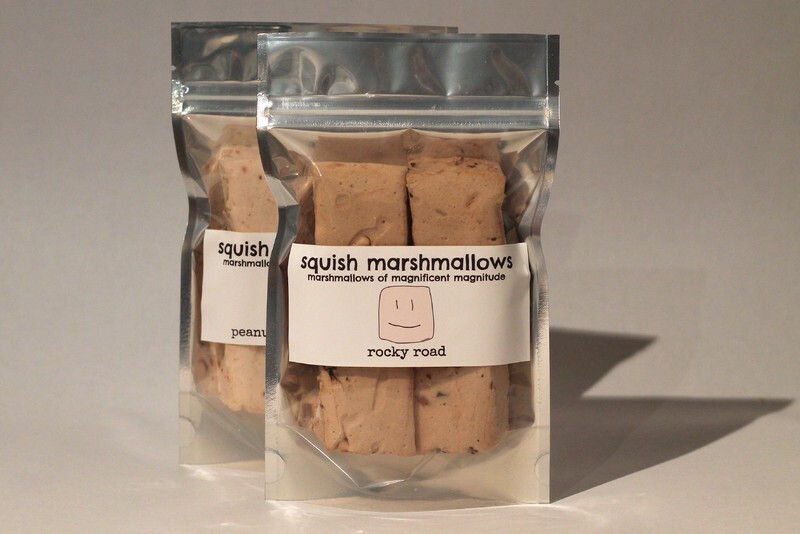 Marshmallow roots’ confectionary uses date as far back as Ancient Egypt, where they were combined with honey to help sore throats and “boiled in sugar syrup and dried to produce a soft, chewy confection.” The earliest incarnation of what we currently spear with sticks and heat over a fire appeared in the nineteenth century, when French confectioners hit upon the idea of whipping up sap from the marshmallow root and sweetening it. This was a laborious process, eventually abandoned for a mallow-less combination of water, sugar, gelatin, and corn syrup — unless you live in artisanal-mad Brooklyn, in which case, you can pick up something akin to an OG mallow at your nearest local-only grocery (in my case, The Greene Grape). Etymology ref here, history here.